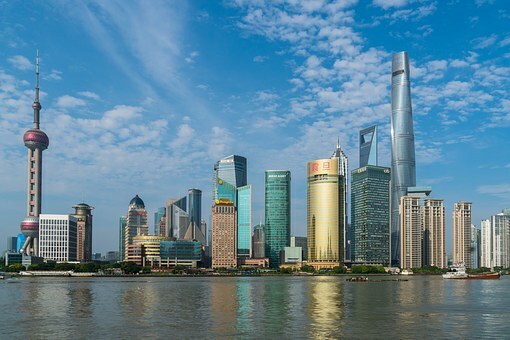 Intern in the financial hub and largest city of China—Shanghai. This thoroughly modern city, nicknamed “the Paris of the East”, features a heavy influence from Western business, culture, and architecture. As an IES intern in Shanghai, you’ll be fully immersed in the multicultural life of this metropolis. Imagine heading to work by ferry, subway, bus, or foot. Then later enjoying lunch from any one of the 23 Chinese provinces or cuisine from more than 20 countries. An IES Internship in Shanghai develops your professional skills, your ability to communicate across cultures, and provides substantive work experience to jump-start your career in today’s competitive job market. You’ll be guaranteed an unpaid placement at a local business or organization, where you’ll work for at least 32 hours a week. We will work with you to find the closest placement match between your professional and personal goals with what’s available in Shanghai. Before you depart, we work with you to fine-tune your résumé, perfect your cover letter, and hone your communication and interview skills as we prepare you for working in a new cultural environment. Upon arrival you will spend two weeks at a Donghua University taking a Mandarin language class, before going to your six-week internship site. The language course may also be continued throughout the duration of the program. Upon arrival you will spend two weeks at a local university taking a required 3-credit Mandarin language or Chinese Studies class. 3-credit Chinese language courses at beginner, intermediate, and advanced levels will be offered. For native Chinese speakers and students at advanced levels, EC/PO 325 Chinese Economy and Politics: Transition and Development (3-credit) will be offered in Chinese. Donghua University Donghua University (DHU) is one of China's key public research institutions known for its specialization in information technology, design, textile engineering, material science, and international trade. The IES Internships program will be located on the main Donghua campus in southwest Shanghai. DHU started accepting international students as early as 1954, positioning themselves as an open-minded university welcoming overseas students to enroll in undergraduate, postgraduate, and research programs, as well as non-degree Chinese language programs. Hotel – Stay in a hotel on the Donghua University Campus. No meals are provided. The staff at our Shanghai Center will welcome you for orientation. This includes an introduction to the city and program, including housing, commuting, and professional and cultural expectations. The Shanghai Center is your central place for instruction, support, and meeting other interns. Previous study of Mandarin is not required; this program enrolls students in an intensive 2-week Mandarin course at our partner university upon arrival. Interns will begin full-time work and can opt to continue language study for the remaining 6 weeks. A passport that is valid for at least six months beyond the end date of the program, with at least two blank pages is required. A student visa is required to enter China. Upon admission, you will receive more information about the application process and any related fees. The visa application process for non-U.S. citizens can be extremely lengthy, please contact us for more information.